Are you in the market for a good sign company? When looking for a reliable sign company in Chicago, there are a few factors you should consider first. Establishing a business signage that your target market will respond to is the first step in the process. The sign of your business should stand out to attract new customers at a desirable, steady rate. Do feel like you have a great product or service that isn’t getting the attention it deserves? Chances are if you’re not getting noticed it’s because you’re not advertising—and if you are advertising, you probably aren’t doing it very well. Many people think that just because you place an ad in the newspaper or run a commercial on cable that people will notice and their sales will suddenly increase. Unfortunately, that’s not how it works. However, if done correctly advertising can help boost your brand, attract consumers and increase your sales, ultimately leading to more success for your business. When it comes to marketing, businesses need to find a way to get the attention of their target market for a particular type of product or service they are offering. There are a number of ways to do this. However, one of the most effective ways is through the use of high quality printing services. 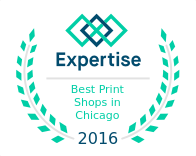 Chicago businesses can take advantage of the services provided by our team at Chicago Print Group in order to advance their marketing efforts. One of the most challenging things most scanners is handling oversized documents. These may include blueprints, large artwork, indoor store signs, maps or just about any other large item. Chicago is a big city. It seems like everyone is on the move and businesses are constantly looking for ways to stand out from the crowd. There is no denying the challenge of being unique through advertising but you can get started on the right path with custom signage. With the right signage Chicago companies can capture the attention of their target audiences and give their business desired visibility and appeal. For branding purposes, what can be more powerful than a well-designed, and displayed, banner? For marketing, special events, and sales meetings, they offer the perfect solution for creating an eye-catching aesthetic to potential customers. Banner design and printing, like that offered by the Chicago Print Group, can be utilized for a host of activities. A company’s branding message is one of its most important assets. As we know, branding is essential to getting your business’s message across and staking a firm place in the marketplace. The opportunities to get out that message are all around. They are not only present outside the office or retail space, but also inside, where employees and potential and existing customers visit. 22 Apr Banner Printing from Chicago Print Group, Inc.
22 Apr Printing Services from Chicago Print Group, Inc.